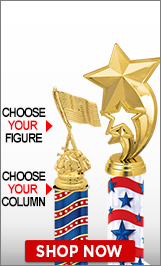 Crown Awards is America's largest American Flag trophy manufacturer. 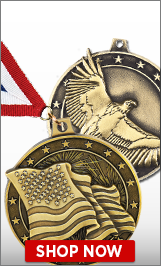 Whether you need an American Flag trophy, American Flag medal, American Flag plaque or more, our American Flag awards come with fast turnaround and 100% customer satisfaction. Many Colors & Patterns To Choose From! Choose A Figure From Our Huge Selection! 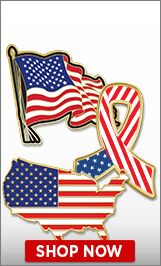 Our huge selection of American Flag Trophies, guaranteed low prices and superior customer service will make finding the perfect award for your American Flag Organization easy. 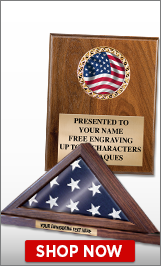 Crown's Trophies, from our classic American Flag Participation Trophies, to our specialized 4th of July Awards, Military Awards, Navy Awards, Memorial Day Awards, Veteran's Day Awards,are engraved with a high-quality laser process. Use our Trophy Builder to create a Championship Trophy that will look good in any trophy display case. We include FREE engraving up to 40 characters and FREE ground shipping on credit card orders over $100. 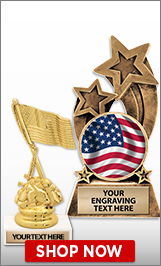 As America's Largest Awards Manufacturer and over 40 years experience, Crown's American Flag Trophies will fit your award trophy gift-giving needs whether your budget is large or small. We provide our Customers with superior customer service and the highest quality products at the lowest prices available, making us your trophies and awards manufacturer of choice.